Latino immigrants are often seen as a burden to society in the United States. There is often a misconception that immigrants are here to take over the United States and their resources. All they want is a better life for themselves and their family. Many people believe that they have had a negative affect on the work force for Americans, when in fact studies show that they have only helped the industries grow. These immigrants suffer during their trip to the United States and when they arrive here they still continue to face challenges. Their journey and problems aren't over once they arrive to the United Stated it still continues. They face discrimination, racism, and of course the fear of being deported back to their native country. People need to fully understand what immigrants face, from the start in their journey to the United States to their experience living here. are changing communities in New Jersey. He starts off by talking about a packed church on Nassau Street that is filled with people from all over including Mexico, Guatemala, Cuba etc . Brand then compares it to two years ago when only one-third of the church was filled and to a decade ago where the service was not conducted in Spanish. He uses the church service as a reflection the huge amount of Hispanic immigrants arriving at New Jersey. He then talks to Pedro Rodriguez who had recently immigrated, who said that he did not have a job yet but that was the least of his worries. Rodriguez tells Brand that he spent $3,000 and risked his safety for a small chance that he could cross the border and make some money for his family back home. His fear, like the fear of many other immigrants is that his trip will be in vain and that the authorities will deport him back. This article is a great example of how Latino immigrants have impacted community populations and their experience coming and living in this country. One key thing in the article is how Brand compares the recent Latino immigrations to the previous European immigrations of the late 19th century. One thing I learned in the article is that the United States Census Bureau predicts that the Latino community will become the largest minority surpassing African-Americans. The most interesting thing in the article would be how Brand interviewed some Latino immigrants and included their experiences in the article. This article shows how huge of an impact the Latino immigrants are having in our society. I believe that this not only applies to communities in New Jersey but other communities around the United States. Not only is it important to understand Latino immigrants impact on the communities in the U.S, but how it affects the people of different ethnicities living in the U.S . In “Race and ethnicity: latino/a immigrants…” Price discusses how Latino immigration over the past 20 years have impacted the way races interact. Latino immigrants have merged into the traditional black-white race relationship and are becoming a huge impact in the United States. But like other races in the past they face problems due to their race and heritage. Labor relations, and racial stereotyping etc have become a theme involving many Latino immigrants. Price discusses how location is key to understand whether or not immigrants fit into US society. The rise in population in the United States is the reason why Price chose Latinos as her demographic. Price informs us that as of 2003 Latinos account for 16% of the US Population surpassing African-Americans as the most numerous minority. In the article, Price goes on to tell us about emergent themes such as labor, racism and solidarity. This article is a very informative article that explains thoroughly the interaction between Latino immigrants and other races in the United States. As their population continues to rise their impact on this country does also. This article gives a huge insight on how they feel about other people of different races, and how they are treated by other races. It also tells how Latino Immigrants they become accustom to the society based on where they choose to settle down. The article also shows cases in which Latino Immigrants where being speculated of taking over an African and Creole identity of New Orleans. It shows how Latino Immigrants are taking over the work force and are being preferred by white employers. This article is very interesting because it compares the situation with the discrimination of Latino Immigrants to the discrimination of African Americans before. I would recommend this article to anyone because it shows how Latino Immigrants have had a huge impact on today’s society. People believe that the new wave of immigrants have had a negative affect on the jobs of the people already living in the U.S, which is a huge misconception. The media often portrays Latino immigrants as bad people who are only here to use up all the resources in the U.S . 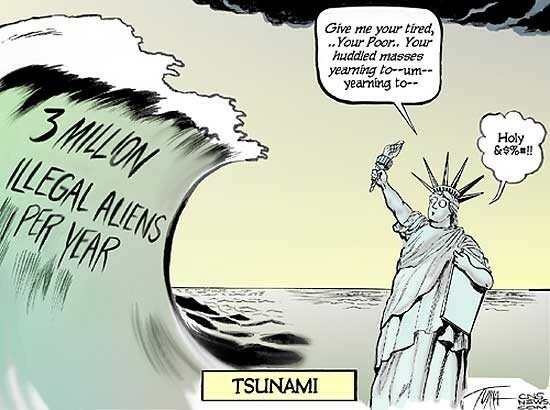 In the blog “The Sequel Immigration” the creators of the blog discuss the whole process of immigration and how it is portrayed by the media and others. The blog is run by four bloggers who don't all give out their real names by the names on the blog are DaftClubJustice, alexis.rae.miller , Kate Richardson, and Brad. Their landing page includes a picture of them photoshopped in a mariachi band. Under the picture includes the purpose of the website which is to inform their readers about Latino Immigration over the Mexican border, and how the media makes them out to be. Before going into their main focus they give brief information about what immigration is and include various immigration terms and definitions. They also include a tab on the top which leads to page that discusses what is going in immigration today. They then discuss how immigrants are framed in 3 different types of ways by the media. They include a conclusion to give their final thought on the topic. From the first time I clicked on the page I found it very interesting on the topic of latino immigration. One thing that I found intriguing was their background which is a collage of different political cartoons. Throughout their blog you will see different political cartoons which are about latino immigrants or the immigration reform. The way they expressed their view on the way the media portrays immigrants was very interesting. They also explained the way they are portrayed as criminals, the way they are portrayed as a burden to the economy, and the way they are portrayed inconsistent and unsuccessful with interesting information and sources. Another interesting thing about the site is the tab that says “Media Portrayal” which includes many different YouTube videos in which major networks such as CNN, Fox News etc talk about immigrants. The tab led me to a video that I found very interesting which will also be used in my Video DAB. This blog is a great way to get informed of what people think of Latino immigrants. It is important to understand not only what other people think of Latino immigrants, but what Latino immigrants think of themselves. “Latino immigrants and the U.S racial order: how and where do they fit in?.” is an article in which the writers tell what Latino immigrants think about their place in today’s society. This article discusses how a new racial boundary inside the Latino immigrant race. The writers explain how there is a new existence conflict between assimilated Latino immigrants and dark skin Latino immigrants. The writers talk about how some Latino immigrants have decided to integrate with either whites or “blacks” instead of establishing themselves as their own race. They usually decide which side of the White/Black line to favor based on the color of their skin. The writers included a study that was conducted by The Latino National Political Survey (1989 to 1990) in which they found that immigrants more fluent in English, and with longer time spent in this country chose to be identified as a separate Latino racial category. Also included is how other people categorize the Latino immigrants. I like how the article grabbed my attention in the introduction with a quote by W.E.B Du Bois which was ‘‘The problem of the twentieth-century is the problem of the color-line’’. The article focuses a lot on the impact of race boundaries on the lives of Latino Immigrants. Many of the immigrants who were respected and thought of highly back in their country, face a different situation when they arrive to the U.S based on their skin color. Another good thing about this article is that it gives both sides of the situation. It explains how Latino immigrants are identified by others and how they identify themselves. Another good thing about this article is that it gives different charts with different information on the lives of Latino Immigrants. This is a good article to read about what Latino Immigrants face when they arrive to this country. The one thing people are worried about Latino Immigrants is that they will come to the United States and occupy all the jobs. People don't understand that Latino Immigrants face harsh work conditions and do the jobs that other people won’t do. In "Battling Discrimination and Social Isolation…” Negi talks about the stress the many Latino day workers face in this country. Many people don't realize the impact Latinos have had on the workforce in the United States. Negi informed me that the Undocumented Immigrants make up more than three-quarters of the day labor force. Negi also conducted a focus group in which they surveyed 150 Latino Day Laborers and asked them certain questions about their lives. What the survey found was incredible and showed how poorly and unfairly they were treated. It shows that over 63 percent of them were victims of wage theft while twenty-six percent also received verbal and even physical abuse. Negi's study also interviewed many Latino Day Laborers on their thought on discrimination in this country. They talked about how they felt some of the local and federal policies were targeted directly at them. They mentioned the anti-solicitation ordinance which prevented them from soliciting work on public streets. This policy affected them because now they are unable to get jobs and unable to provide for their families in the U.S and back home. This article has a great amount of information on the working lives of Latinos. People know that discrimination exists out in the world but now this res earch can back it up. This study is a great source to read about personal experiences by Latinos involving the work force. It also does a further study on the psychological affect on the Latino Day Laborers, and what they found is very impacting. The data charts they provided were very informative, they gave specific data on the latino day laborers such as wage, whether they are married or not, and how much of their money do they send back to their native country. This research is not like other’s I have read, it is very informative and gives a great insight on the lives of latino day workers. In “Immigration and American Jobs” Porter discusses the impact that Latino immigrants have had on the United States workforce. Porter begins by talking about the idea of immigration and how they flooded the United States and competed with Americans for jobs. He talks about how Americans have the idea that immigrants displaced them from their jobs and are the reason for wage cuts. That led to a big increase in border patro l and deportation of illegal immigrants in the United States. Porter states how Obama promised to push for a law that would give immigrants access to legal jobs but instead he deported a recored illegal immigrant workers. He then clarifies that Latino immigrants have little to no affect on the under-cut of American workers. Porter says how economists have been trying to uncover evidence for years but they confirm that immigration has not led to fewer jobs for American workers. This article is a great source to understand the misconception that Latino immigrants are here to take away jobs for American citizens. I learned a lot from this article because I myself believed that Latino immigrants had taken jobs from Americans. One huge detail in this article that I did not know was that instead of negatively affecting society, Latino immigration have had a huge positive impact on the economy. They bolster the profit of American firms as well as reduce prices of products and services due to them providing employers with a new labor source. Another interesting fact that I found in the article was that the wave of immigrants from 1999 to 2007 impacted the national income per worker, raising about $5,400 a year. Porter also made an interesting point when he talked about a roofing job to support what he was saying in the article. He said that when a contractor expands into roofing, he will not only need cheap immigrant roofers but also an American supervisor and maybe an extra clerk. I recommend this article to people who want to uncover the truth about the impact of Latino immigration on the United States workforce. Outside of the workforce Latino immigrants face a series of issues that impact their daily lives. In “Latino immigrants: patterns of survival” Zuniga discusses the experience of immigrants, especially undocumented immigrants and how they adjust to the way of living in this country. Zuniga starts off by giving background information of the change in rate of immigration throughout the 1900’s and what contributed to it. Zuniga also tells us about the many different reactions by the government and citizens towards Latino immigrants. More than often it has resulted in hostile and discriminatory attitudes. Zuniga tells about a case in San Diego in which two citizens decided to “hunt down” Mexicans. The reason for their migration is another factor on how prepared and motivated immigrants are to start a life in the United States stated Zuniga. Another factor on how quick they adapt is how they traveled to get to the United States. For some it may have been quick and swift for others they may have endured a treacherous trip in order to get there. Zuniga also talks about the effects on their families and issues they faced based on their migration. This article is very thorough on the whole experience of a Latino Immigrants. It describes the many factors of their lives and how they affect them while living in the United States. I like how the article describes about what they go through before they even arrive to the United States. It gives an insights on their lives before and how it has changed them. Not only does it talk about Latino immigrants prior to their migration but it also informs us of their experience while living in the United States. The article also gives many statistics on immigrants, the change in the amount of immigrants in the country and other valuable information. I highly recommend this article to anyone who would like to understand the struggles that Latino Immigrants face throughout their migration process, and even after they have migrated. Some Latino immigrants are lucky to even obtain a job others aren't as lucky. “The Unheard” is a documentary created by Tania Cervantes which shows the struggles of immigrants in this country. She starts of with question “Why are they really here?”. One of the men she interviews says how there is no future in Mexico and goes on to explain how the dollars is worth more than the peso. Most of them have nothing but yet are still hopeful that their luck will turn and they will be able to help their family even more. They don't worry about the conditions they are living in, they worry about providing for their family back home. Cervantes then asks “What they do?” in this country meaning what are their jobs. There are many different responses one man says I pick up garbage and dig dirt. The next questions she asks is what problems they face. They all had a very similar answer which was obtaining a job and making money. In this video Cervantes documents the many ways immigrants have struggled in this country. A good way to start of the video, Cervantes includes facts about the amount of immigrants in this country. Cervantes also uses music to portray the Hispanic heritage of the immigrants she is interviewing. When she asks them what they do a man said that he picks up cans because he rather do that than rob. One man talks about how he can’t get a job because he cant get legal documentation so employers deny him immediately. In the middle of that statement Cervantes inserts a quote which says “Equal Opportunity for all” which I believe is a key point in the video. What Cervantes does often is insert quotes or promises made by the United States in their constitution for equality etc . This video is great to get multiple experiences on living in the United States. People judge the lives of Latino immigrants on a daily basis based on what they see on television. They don't fully understand what a Latino immigrant goes through everyday only for a few measly dollars. What they're really here for is to make this country a better place and work hard to support their families. The research has shown that Latino immigration has had more positive affect then a negative affect on this country. In this case the saying “Don’t judge a book by its cover” can be applied. People should fully understand Latino immigration before they make an opinion about them. 7) Zuniga, M. E. (2002). Latino immigrants: patterns of survival. Journal Of Human Behavior In The Social Environment, 5(3/4), 137.